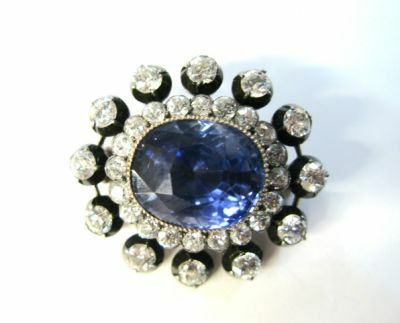 A stunning Victorian 14 karat yellow gold and sterling silver brooch, featuring a medium dark blue sapphire, est.17.55ct. and 32 old cut diamonds, est. 3.42ct. ( SI clarity: H-I colour).